Born in Magdeburg, Germany, in 1923, Pressler fled Nazi Germany in 1939 and emigrated to Israel. Pressler’s world renowned career was launched after he was awarded first prize at the Debussy International Piano Competition in San Francisco in 1946. This was followed by his successful American debut with the Philadelphia Orchestra under the baton of Maestro Eugene Ormandy. Since then, Pressler’s extensive tours of North America, Europe and the Far East, have included performances with the orchestras of New York, Chicago, Cleveland, Pittsburgh, Dallas, San Francisco, London, Paris, Berlin, Hamburg, Dresden, Amsterdam, Brussels, Oslo, Helsinki and many others. After nearly a decade of an illustrious and praised solo career, the 1955 Berkshire Music Festival saw Menahem Pressler’s debut as a chamber musician, where he appeared as pianist with the Beaux Arts Trio. This collaboration quickly established Pressler’s reputation as one of the world’s most revered chamber musicians. With Pressler at the Trio’s helm as the only pianist for nearly 55 years, The New York Times described the Beaux Arts Trio as “in a class by itself” and the Washington Post exclaimed that “since its founding more than 50 years ago, the Beaux Arts Trio has become the gold standard for trios throughout the world.” The 2007-2008 season was nothing short of bittersweet, as violinist Daniel Hope, cellist Antonio Meneses and Menahem Pressler took their final bows as the Beaux Arts Trio, which marked the end of one of the most celebrated and revered chamber music careers of all time. What saw the end of a one artistic legacy also witnessed the beginning of another, as Pressler continues to dazzle audiences throughout the world, both as piano soloist and collaborating chamber musician, including performances with the Juilliard, Emerson, American, Cleveland, Pacifica, and Ebène Quartets among many others. Of his recent solo performance in Austria, Die Pressewrote: “he struck a tone that was long believed lost already, a tone we perhaps last heard from Wilhelm Kempff.” His recent solo concertizing engagements included six performances with the Berlin Philharmonic in 2014, the last three with Sir Simon Rattle for the 2014 New Year’s Eve concerts televised worldwide, the Orchestre de Paris and the Concertgebow Orchestra, among many others. Nearing ninety he collaborated with Christoph Prégardien playing Schubert’s Winterreise for the first time. Following lifesaving surgery and recuperation in 2015 he collaborated with Matthias Goerne in Schumann Lieder at Wigmore Hall and the Verbier Festival. 2015 and 16 saw him giving recitals and concerts with orchestras all over Europe including Hamburg with Kent Nagano, Dresden and Berlin Philharmonie with Christian Thielemann and Staatskapelle Dresden. He also took part in major festivals including Ravinia and Tanglewood where he performed with the Boston Symphony and Charles Dutoit and performed with that orchestra in Boston during the regular subscription series last November. In 2017-18 he toured Asia, Europe, the United States and Israel, giving recitals, playing chamber music, and soloist with orchestra as well as giving masterclasses. 2018 has seen him in Lisbon with the Gulbenkian Orchestra, in Los Angeles with the Chamber Orchestra, in San Francisco with the New Century Orchestra and Daniel Hope, Philadelphia, with the Orchestra under Mirga Gražinyte-Tyla, in London participating in the opening concert of the Queen Elizabeth Hall with Danielle deNiese, in Berlin Philharmonie, Hamburg and Concertgebouw playing the Franck Piano Quintet with the Schumann Quartet, giving recitals and masterclasses Madrid and Bad Kissingen and a recital in the Elbe Philharmonie in Hamburg as part of the Schleswig Holstein Festival. In Autumn 2018 he will give recitals in the Pierre Boulezsaal Berlin, Concertgebouw Amsterdam, and Eindhoven; a recital in Suntory Hall Tokyo with Matthias Goerne, Mozart Concerto in C minor K491 in Magdeburg and string quartet masterclasses in Paris. For over 60 years, Menahem Pressler has taught on the piano faculty at the world-renowned Indiana University Jacobs School of Music where he currently holds the rank of Distinguished Professor of Music as the Charles Webb Chair. Equally as illustrious as his performing career, Professor Pressler has been hailed as “Master Pedagogue” and has had prize-winning students in all of the major international piano competitions, including the Queen Elizabeth, Busoni, Rubinstein, Leeds, and Van Cliburn competitions among many others. His former students grace the faculties of prestigious schools of music across the world, and have become some of the most prominent and influential artist-teachers today. In addition to teaching his private students at Indiana University, he continuously presents master classes throughout the world, and continues to serve on the jury of many major international piano competitions. In 2019 he has been invited to join the Jury of the Tchaikovsky Competition in Moscow. Many contemporary composers have written works especially for him, including Kurtag, who wrote three solo piano works for Menahem Pressler. Having recorded practically the entire chamber repertoire with the Beaux Arts Trio – in 2015 Decca released a 60-CD set of the complete Beaux Arts Trio Philips Recordings comprising some 122 works – Menahem Pressler has compiled over thirty solo recordings. His CD of French music for Deutsche Grammophon “Clair de Lune” was released in February 2018.the second volume of the complete set of Mozart Sonatas for La Dolce Volta was released in 2017 and his Recording of Schumann Dichterliebe with Matthias Goerne together with Kinderszenen for Harmonia Mundi will be released in 2019. The documentary “Pianist Menahem Pressler: The Life I Love” won the Grand Prize at the Golden Prague International Television Festival in 2015. 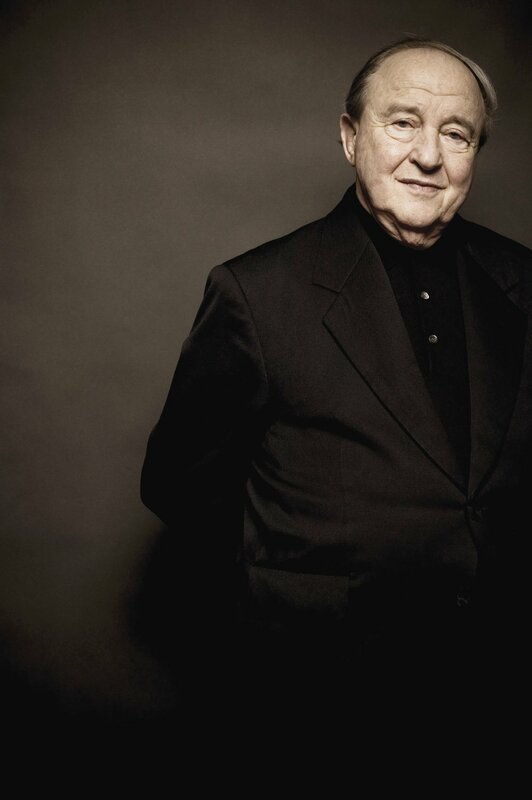 He has been the subject of books written to honor his life and legacy, including “Menahem Pressler: The Artistry of Teaching” and “Always Something New to Discover: Menahem Pressler and the Beaux Arts Trio.” In 2016 a book of conversations with Holger Noltze “Dieses Verlangen Nach Schönheit” was published in Germany by the Koerber Stifftung.